While adding a Passive Stream of Income? If so, then read on to find out how exactly you can do this with absolutely no outlay of money. It’s simple. When your members are getting fit, losing weight and feeling great, they are walking advertisements for you. Why not give them an effective tool to help them achieve these results? As you know, diet plays a huge part in getting fit and losing weight. The Paleo diet is very popular in the Cross Fit community, but as you may have experienced, not everyone succeeds with it. This is due to the fact of bio-individuality: not every person was designed to eat exactly the same way due to genetic, ancestral and lifestyle factors. However, by slightly adjusting the paleo protocol to be delivered on a more personalized basis, results improve significantly. With the correct way of eating for one’s own body, one can enjoy improved fitness, increase in muscle tone, decrease in body fat, reduction in inflammation and an improved sense of overall well-being. For years, I have been delivering group lectures and working with individual clients and have seen the tremendous benefits of a Personalized Paleo approach. Additionally, as the resident Nutrition Counselor for an integrative medical practice in Studio City, I work with patients on a daily basis and support them in achieving their health goals by integrating this Personalized Paleo approach. My clientele ranges from celebrities and professional athletes to weekend warriors and working moms and dads. For the past few years, I’ve teamed up with Whole Foods to provide nutrition lectures for hundreds of their customers and team members. I’ve also lectured in corporations, at health events and for private groups. Additionally, I’ve written articles for such publications Kirstie Alley’s Organic Liaison blog, The Crave Company and Women’s Holistic Health News. I’ve also been interviewed by the LA Times for my opinion on the subject of gluten-free eating, an article which was additionally syndicated in the Chicago Tribune. I’ve worked with people who have a variety of different conditions and health goals and have found consistent success with a Personalized Paleo approach. Imagine having a completely passive additional income stream while providing your Cross Fit members with a simple, effective nutrition plan that would lower body fat, improve fitness, increase muscle tone, enhance emotional well-being and reduce inflammation. The best part? It requires essentially no work on your part. Jessica has an amazing presence about her. 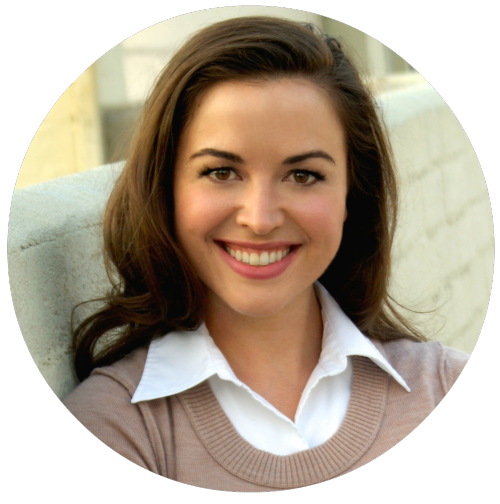 She captivates her audience and portrays her message in an informative and fun way. She taught a cooking class for me here at Whole Foods Market and got rave reviews from the audience. We would welcome her back to speak in a heartbeat. Jessica did a wonderful job and everyone was completely absorbed in all of the great information she shared with us regarding Organic Foods, preparation, pros & cons of various food groups…. We are hoping that Jessica will be willing to participate as a presenter for more of these events. I would have to say that she was our most popular presenter for any of our events this year. We were all very impressed by her knowledge, presentation skills, and personable manner. We are a health education company (educating physicians) so we have a lot of very knowledgeable employees . . . and everyone commented positively on the information she shared with us. The program was laid out so specifically and was so easy to follow… The changes I experienced through the four week cleanse were awesome. I lost 7 pounds but most remarkable was how my sugar cravings and ability to handle myself around sugar and foods I craved in the past had totally changed. I am at a point now where I feel I can have something sweet (or something I considered bad or naughty or even dangerous before) or not have it. If I do choose to have it there is no downward spiral, I don’t end up with a lot of guilt and noise or feelings about it, I just have it and let it go. Or, I just decide not to have it. This is a VERY different experience than I have had on the past. I have regained a sense of control over what and how I am eating. My favorite benefit from doing her program was the mental clarity and acuteness that came from changing my diet. After a couple weeks of eating the right way, drinking the right amount of water, staying away from certain foods, etc I realized that I was not on a “diet” but that I had made a lifestyle choice. I have since simply changed the way I eat to always eating the right way. I wouldn’t have been able to this without Jessica’s guidance. 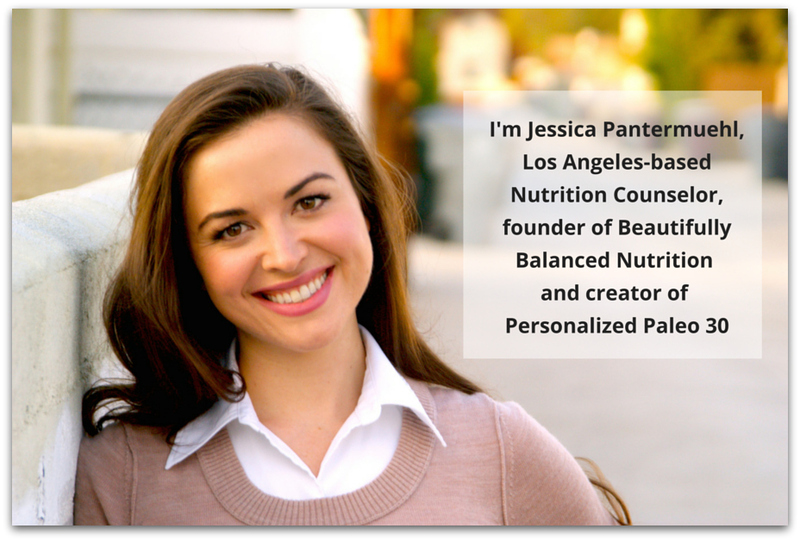 “One of the reason I think Jessica’s program is so effective is that she explains the science and reason behind her dietary suggestions. Understanding why one should eat certain things and why one should stay away from certain other foods makes a big difference in being able to make the right choices. When I started this program I thought it would be a hard transition to a healthy and active lifestyle. To my surprise it was much easier than I thought. I discovered that in my journey, once I took the first step it all snowballed effortlessly. Substituting everyday junk food for full servings of fresh food and an hour at the gym gave me results I would have never imagined. You first start noticing changes in the way you feel… You wake up in the morning and you are not tired, you feel lighter and you notice it is easier to move your body around. You digest food better, you crave exercise, your mind is sharper, and your skin looks and feels healthier. It is an all-inclusive transformation, and that, for me was the best part of my journey. It is also great that the results are tangible. You can actually see and measure the change, which motivates you a great deal and shows that your hard work has paid off. I am really glad I completed this program and discovered what I am capable of doing with my body. I now live a healthier and much more active lifestyle that makes me feel and look wonderful! THANK YOU!! Want to bring this program into your location? It’s easy. We begin promoting the event at your location a month in advance with marketing materials I’ll customize for your location. The day the program begins, I come to your CrossFit with a projector and PowerPoint presentation and walk the participants through the guidelines of Personalized Paleo 30©. We weigh each participant and take optional “before” photos. Throughout the program, they have my support via email as well as community support via the Facebook group I create for the event. To conclude the event, we hold a congratulatory party at your location where each participant brings a favorite snack they’ve found during the challenge and gets weighed again to see their results. You receive a generous percentage of each participant’s fee and all you need to do is display the marketing materials around your location and provide your space for the initial lecture and congratulatory party. There’s absolutely no money you’ll need to outlay for this. Sound good to you? Me too. Click the button below, fill out your contact information in the form that comes up and we can coordinate when we’ll be delivering the program for your location. I’m only able to serve a limited amount of Cross Fit locations per year and operate on a “first come, first served” basis. So if you are interested in taking advantage of this program, I’d strongly suggest you act now. Thank you and I look forward to bringing Personalized Paleo 30© to your location in the near future!